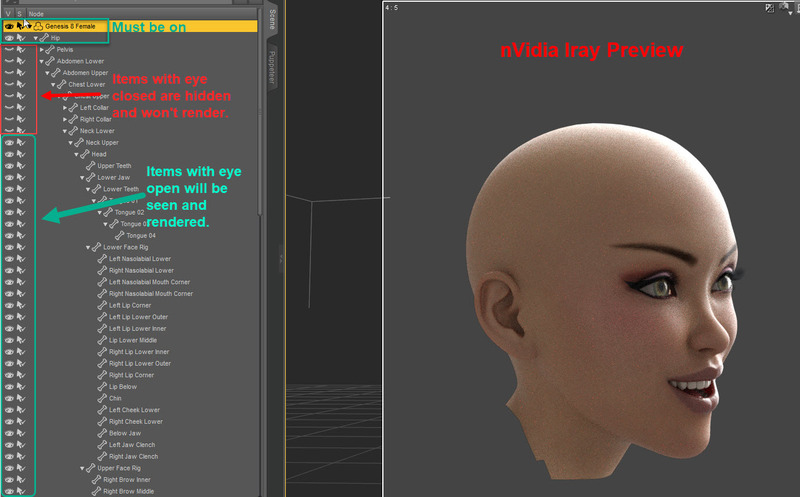 To render just one part of the body is a bit tedious as I’ve not found a way to hide all selected items. The key is to hide everything on the Scene tab one at a time except the part to be rendered. To hide items, click on the eye to the left of an item. If the eye is closed, it is hidden and will not render.